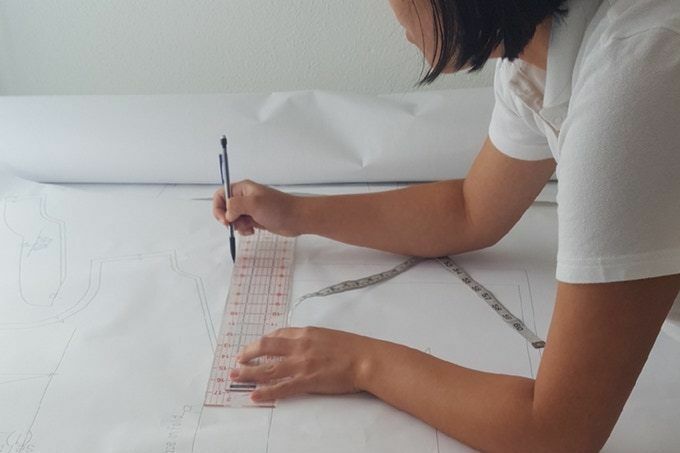 Merin Guthrie works on a Kit design. For years, Merin Guthrie woke up each morning and scanned her closet for the perfect dress only to feel unfulfilled. Guthrie, a vibrant personality bottled into a classic pear-shaped frame, faced the sartorial conundrum of ballooning tops and tight bottoms that left her feeling less than confident. Rather than wait for a solution, she created her own. Guthrie founded Kit, an online start-up offering custom-fit clothing, as her way to combat unrealistic sizing standards and make products that empower women. Guthrie garnered attention last fall after launching a Kickstarter that allowed crowd-funders to craft their perfect T-shirt. Before that, the brand used Kickstarter for another project–its popular "Lady Blouse," which introduced customers to Guthrie's sizing philosophy. Today, the local label continues to gain traction. Ever wonder why you might be a size 2 in one brand and a size 8 in another? The history of arbitrary sizing was born in the Depression-era government as a project that sought to define the average American woman by surveying just 15,000 women. According to the Washington Post, the government made a few failed attempts at standardizing body measurements but abandoned the project in 1983. “Brands then took those standards and internalized them,” Guthrie explains, leaving us with the “unhelpful” sizing we have today. Guthrie fits a Kit model. If someone were to look at Guthrie’s resumé before Kit’s conception, they would have seen a young professional working in the D.C. nonprofit sector with a shiny college degree from a North Carolina liberal arts school. 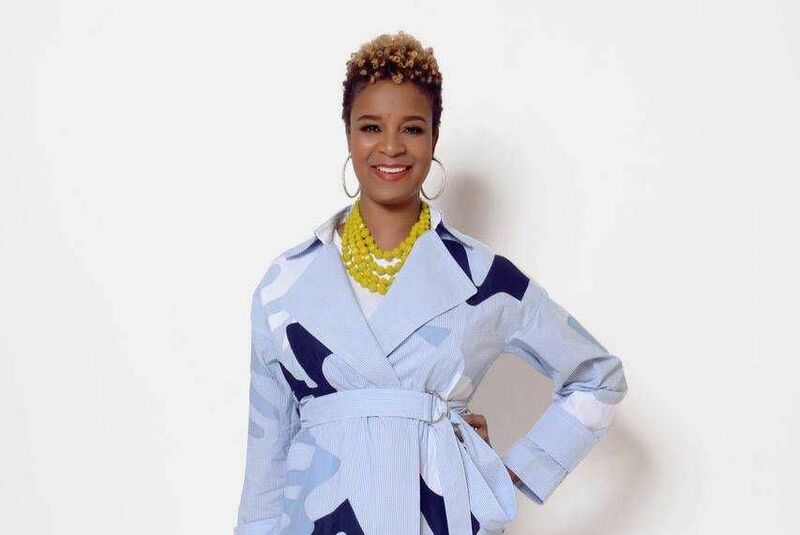 With no design experience other than the childhood sewing lessons her mother instilled in her, she still felt a tinge of disappointment in the clothing she shopped for and knew it could be better. When Guthrie’s grandmother passed down her collection of tailor-made vintage dresses, she realized that personalization was the answer to an ill-fitting wardrobe. That same grandmother provided her with her first sewing machine several years later, leading to Guthrie’s first foray into made-to-measure fashion with a handmade formal dress. What started as a few commissioned dresses soon turned into a large-scale demand by an expanding clientele. 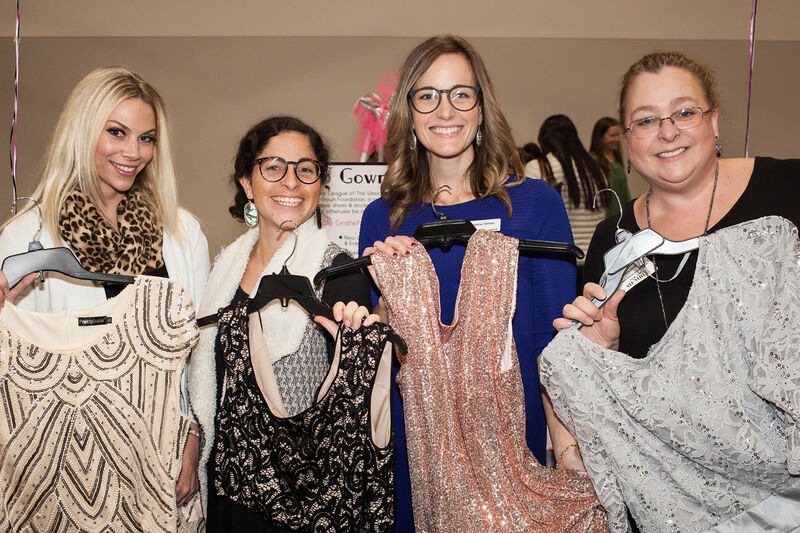 Guthrie, based in Houston, launched Kit in 2015, allowing online shoppers to fully customize their ideal outfit by choosing from a variety of classic styles and fabrics. Kit's goal is to empower a customer enough to say, “Here's what I think I want, here's what I look like, and here's what fabrics I like. Go make it for me,” Guthrie says. The personalization marks a visible change in the attitude of her clientele: “They feel not only more comfortable in their clothes, but a little bit more educated,” she says. For customers, the Kit process begins with an online fit quiz to determine body type. After gathering everything from a shopper’s height to the little quirks that drive them crazy when trying on clothes, Kit staff is present for every step of the process—from creating the product to offering additional adjustments once the customer tries it on. In a business model built on serving women with ease, the seamstresses at Kit are an integral part of its foundation. Guthrie’s nonprofit roots echo through her Houston-based production center, a studio that employs resettled refugees with a background in garment work. Kit employees, such as head seamstress and Vietnamese refugee Lien Le, participated in the Alliance for Multicultural Community training program before finding their footing in the studio—a place Guthrie calls familial.